It wasn’t the most attractive stoneware ornament, and there was some debate about whether he was ugly enough, but an early 20th century Wally Bird – all wild eyes and mottled feathers – made the top price of the day at Moore Allen & Innocent’s selected antiques sale in Cirencester on Friday. 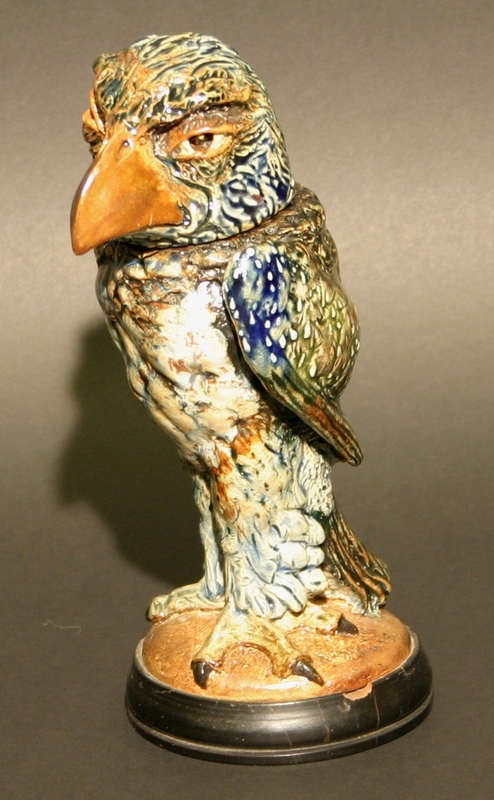 The 23cm stoneware bird was reckoned to have been made by Martin Brothers of Southall, who worked between 1870 and the First Word War. Still, after examining the item at the salerooms at least two collectors were convinced of its authenticity, and that drove the final hammer price to £5,800 – comfortably within the auctioneer’s original £5,000 to £7,000 estimate, and the top lot price of the day. Hot on its talons was a rare antique that marked an equally rare event – a French naval victory. 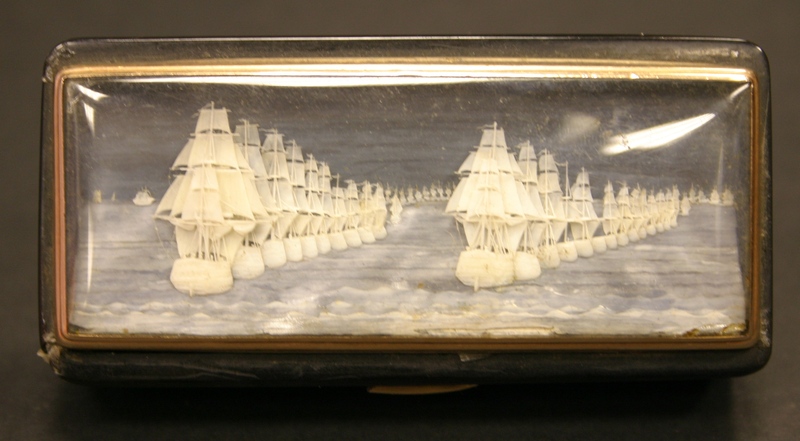 A scene from the Battle of Chesapeake, on 5 September 1781 had been carved in ivory and mounted onto the lid of a tiny (87mm) early 19th century snuff box. The carving was intricate and exquisite – and it was small wonder that such a diminutive object would achieve such great bids at auction, eventually selling for £5,200. With auctioneers looking forward to a sale of costumes, props and scenery from Lyneham Stage Club on June 15, there was a bit of The Importance of Being Ernest drama in the saleroom when a 40-year-old handbag sold for well in excess of its £500 to £800 estimate. Seventeen hundred pounds? For a haaandbaaag? 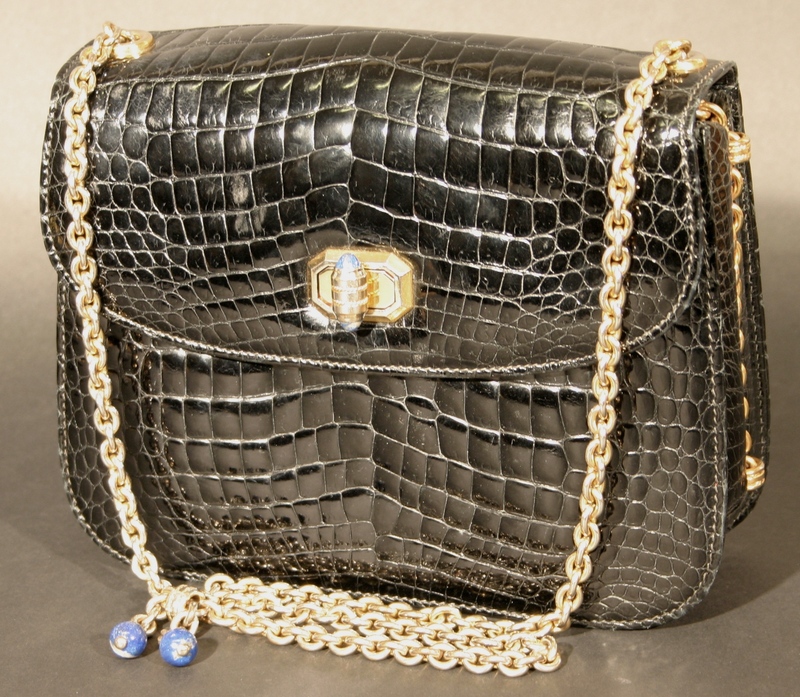 Admittedly, it was a very special accessory, though – fashioned by Gucci craftsmen in the mid-1970s in black dyed crocodile skin with lapis lazuli clasp and gilt chain handle. There were some good results in the furniture section: a William IV rosewood library table with lion paw feet made £2,500, and a 1930s armchair by renowned arts and crafts furniture maker Gordon Russell, which a copper tag engraved The Russell Workshops Ltd., Broadway, Worcestershire, achieved £1,700. Maker’s marks can make all the difference, as demonstrated when three quite similar tables went head-to-head. While two early 19th Century mahogany breakfast tables sold for £300 and £170 respectively, a Regency mahogany breakfast table stamped Gillows of Lancaster achieved £1,500. 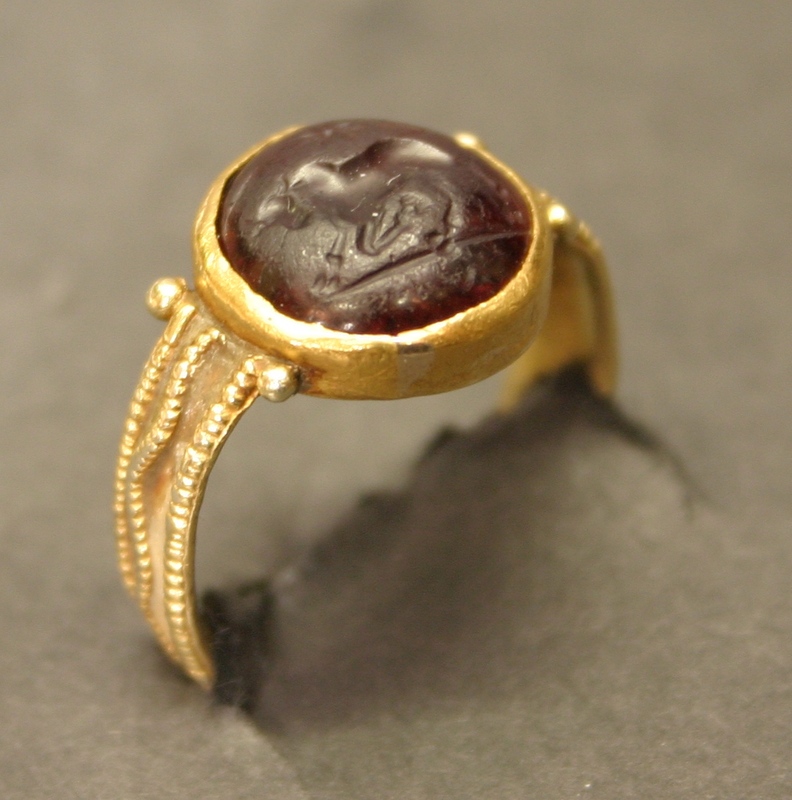 The oldest lot in the sale was a 2nd or 3rd century BC Etruscan gold ring with beaded and wrigglework decoration, set with a cabochon cut garnet with carved decoration depicting a bull and shining sun. Formerly the property of Dr Graham Webster, Romano British archaeologist at Birmingham University, and sold together with a letter discussing the ring from Martin Henig of Worcester College Oxford, the ring was bought by a dealer in antiquities for £1,500. And the biggest surprise of the day came right at the start of the sale, when a 15cm William de Morgan pottery vase of Persian shape, along with two vases of similar size and shape, exceeded their £50 to £80 estimate to finish at £960 – despite the crack around the neck of the de Morgan vase.